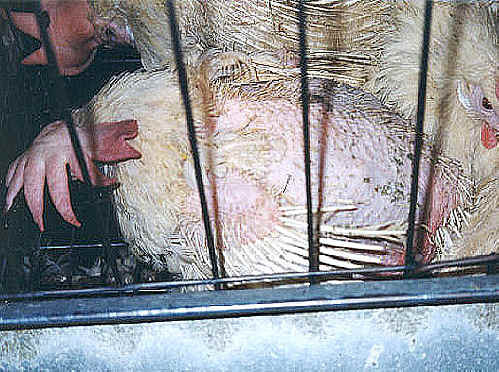 (Chicken Exploitation - Egg Production - 22) This hen has suffered such severe feather loss that a large area of her skin is bare. This is cruel and inhumane treatment; but the law says that because it's standard practice in the industry, it doesn't break the law. That doesn't make it any less evil.